Each July, you are likely to read the words “Happy New Year” from me, not because I can’t keep my months straight but because July is the beginning of ACA’s fiscal and programmatic year. This is the month we welcome our newest volunteers and leaders who are beginning 12 months of service to the association. Their time, dedication and desire to advance the profession will see even greater validation as they move into roles that help promote the work of professional counselors. Leading our volunteer ranks this year is Simone Lambert, who is serving as our 67th president. I have known Simone for many years, and her desire to engage and include many of you will reap a number of benefits for our members, for the profession and for those whom counselors serve. Simone is someone who constantly works toward creating an inclusive and welcoming environment. The staff and I look forward to working with her as she begins her term as ACA president. In addition, we want to welcome our new and continuing volunteers serving at the branch, region, division and national levels. Literally thousands of you have chosen to go that extra mile to serve on committees, task forces or interest networks and in various leadership roles. And with so much work to be done, we look forward to engaging even more of you in the coming year. Even as I write about new beginnings for many of you in volunteer roles, I must note that someone very special will be concluding his journey with ACA this month. During the 30 years I have been at ACA, I have met, worked with and said goodbye to many, many fellow employees. Very few of them have been with me for all three of my decades at ACA. However, one of my staff colleagues has been here that entire time — plus 17 years more. Patrick Belle has had a number of responsibilities since beginning his career at ACA on March 3, 1971. For 47 years, Patrick has seen the good, the bad and the ugly at ACA. Even in times when the association was facing some dire situations, Patrick always came to work with a smile on his face and a commitment to his job that was both impressive and inspirational. His desire to help colleagues, volunteer leaders and others has been consistent throughout his more than four decades of service to our organization. Many of Patrick’s colleagues on staff know him as a consummate professional who always approaches his work as our office services manager with a positive attitude and a desire to solve problems. He is an adviser, he is a friend and, to one of our staff members, he is even a husband. 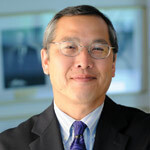 Although I may serve as the association’s chief executive officer, Patrick is the “father” of our ACA family. That is not a title bestowed by our Governing Council; it is one that is earned based on many years of providing advice, support and commitment. I am confident many of our volunteer leaders (past and present) and the entire ACA staff join me in wishing Patrick the very best. I am personally appreciative of all he has done for me over the years, and he is certainly someone who deserves the best that life has to offer. As always, I look forward to your comments, questions and thoughts. Feel free to call me at 800-347-6647 ext. 231 or email me at ryep@counseling.org. You can also follow me on Twitter: @Richyep. In 1952, Mother Teresa opened a free hospice in the city of Calcutta, Elizabeth II began her reign as queen of the United Kingdom and Nelson Mandela was imprisoned for the first time (for nine months) as punishment for nonviolent civil disobedience for his role as volunteer-in-chief of the Defiance Campaign. That year also included the birth of the American Counseling Association, known at that time as the American Personnel and Guidance Association. 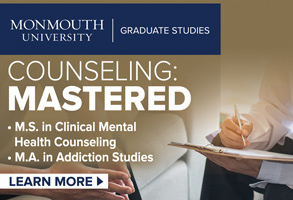 Over the past nearly seven decades, the counseling profession has grown and developed amid global conflict, challenges and enormous change. 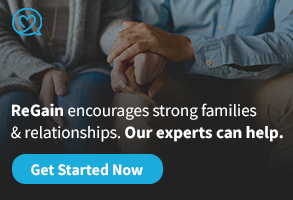 Professional counselors have played a vital role in helping people to thrive throughout the history of our association, and now more than ever, counselors are needed to advocate and provide services to those experiencing individual hardships and systemic adversities within families, schools, workplaces and communities. Mandela said, “What counts in life is not the mere fact that we have lived. It is what difference we have made to the lives of others that will determine the significance of the life we lead.” The work of counselors is significant in what we accomplish individually and awe-inspiring in what we accomplish collectively. As the 67th president of the American Counseling Association, it is my honor to work collaboratively with ACA staff, leaders, members and stakeholders to carry out the vision and mission of the association. Over the past year, the ACA Governing Council has worked diligently to develop and approve a comprehensive strategic plan, providing a road map for the future. Given that framework, ACA committees and task forces will address critical issues in the year ahead. My sincerest gratitude to Dee Ray for agreeing to serve as chair of the Promoting Mental Health and Averting Addiction Through Prevention Strategies Task Force, which will focus on prevention best practices across counseling settings and throughout the life span. In addition, three task forces will attend to professional issues: the Counselor Compensation Task Force, chaired by Sue Pressman; the Parity Task Force, co-chaired by Gray Otis and Rita Westermann-Bolton; and the Portability Task Force, chaired by Shane Haberstroh. Furthermore, the Cultural Encounters Task Force, chaired by Kent Butler, and the Crisis, Disaster and Trauma Counseling Task Force, co-chaired by Stephanie Dailey and Casey Barrio Minton, will continue and expand their efforts. Much appreciation is extended to those who have agreed to serve on these task forces and on ACA’s standing committees. Likewise, my heartfelt thanks to an amazing group of ACA volunteer leaders, including Judy Daniels (parliamentarian), Thelma Duffey (treasurer) and Niloufer Merchant (process observer); our Governing Council members; and our dedicated ACA region, branch and division leaders. 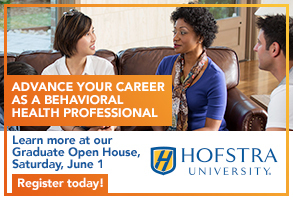 There are many opportunities to make a difference in others’ lives through leadership in the counseling profession, and you are encouraged and invited to participate. Ready for leadership? Email dr.simone.lambert@gmail.com. Together, we can advocate for the clients we serve and the counseling profession, affording us the opportunity to make meaningful and significant contributions. You can engage in leadership and advocacy efforts in a way that is compatible with your time availability and congruent with your strengths. For example, you could call public policymakers, provide mental health and addiction screenings in your community, research evidence-based practices related to prevention of mental disorders and addiction, present at counseling conferences at the state and national levels, or serve as an ACA committee member. In July, consider centering your leadership and advocacy efforts on National Minority Mental Health Awareness Month (#MinorityMentalHealth). Together, we can increase awareness about and access to the extensive services that counselors provide in schools and communities across our nation. We all have our biases — but just because bias is a universal part of the human experience doesn’t mean it is something we should ever dismiss offhandedly, either in ourselves or others. That’s because bias has serious consequences, and when left unchecked, it can turn into bullying. A 2012 study of California middle and high school students published in the American Journal of Public Health found that 75 percent of all bullying originated from some type of bias against a person’s race, sexual orientation, religion, disability or other personal characteristic. SeriaShia Chatters-Smith, an assistant professor of counselor education and coordinator of the clinical mental health counseling in schools and communities program at the Pennsylvania State University, defines bias-based bullying as bullying that is specifically based on an individual’s identifying characteristics, such as race/ethnicity, gender, sexual orientation or weight. For example, adolescents might create Snapchat stories that attack someone on the basis of their race, weight or sexual orientation, and parents or teachers might treat children differently on the basis of their skin color, notes Chatters-Smith, an ACA member who presented on “Bullying Among Diverse Populations” at the ACA 2017 Conference & Expo in San Francisco. Research indicates that individuals of color, particularly black and Hispanic men, are more likely to be identified as being aggressive, she adds. In her research on transgender people, Singh, who co-founded the Georgia Safe Schools Coalition and founded the Trans Resilience Project, has found that bias-based bullying can be based on appearance, gender expression or gender identity, and it can range from name-calling to physical and sexual harassment and assault. When people start talking about someone having a bias, those four letters typically trigger a negative reaction and shut down conversation, which isn’t productive. Thus, Chatters-Smith argues that helping people understand that everyone has biases is crucial to addressing bias-based bullying. However, this task can be difficult because people often resist closely exploring their own prejudices. Counselors should help clients realize that just because everyone has biases doesn’t mean they are excused from recognizing and addressing their own, Chatters-Smith argues. Because bias is often an emotionally charged topic, Chatters-Smith finds it helpful to start with a nonthreatening example. After pointing out bias, she asks clients when they first identified something as their favorite color. Most people can’t remember when this color preference started because they were young, Chatters-Smith says. She explains how after someone establishes a color preference, the brain starts to sort things by that color. “When you see something that is your favorite color, you are more likely to gravitate toward it. You have more positive feelings toward cars that are your favorite color. … And sometimes a car may not be the best-looking car, but because it’s our favorite color, we gravitate toward it. That is bias,” Chatters-Smith explains. Counselors are not immune to bias either. For example, a counselor might assume that a black male client who is unemployed did something to cause his unemployment, Chatters-Smith says. If this happens, the counselor needs to take a step back and ask why he or she is entertaining that assumption, she continues. These internalized biases can also have a direct effect on students. For example, Singh says, LGBTQ students will not feel safe reporting bias-based bullying by their peers when they hear educators or school counselors expressing anti-queer or anti-trans views. Educators can also hold bias against students in special education, which may limit the opportunities those students have to learn, she adds. Singh, an American Counseling Association member and licensed professional clinical counselor in Georgia, finds cognitive behavior therapy (CBT) helpful because challenging irrational thoughts is at the heart of addressing bias-based bullying. Thus, counselors need to ask clients and themselves some CBT-related questions: Where did you learn this thought? What research supports this idea? Counselors “have to become strong advocates in order to interrupt those beliefs systems because the person enacting them — whether or not they’re conscious [of it] — isn’t going to stop until there’s an advocacy intervention,” Singh says. After making clients (or educators) aware of bias, counselors can work with them to figure out times that they might have sorted a person into a category before getting to know that person and then brainstorm ways to manage that differently in the future. Counselors can also benefit from bias-based bullying training. In working with Stand for State, a bystander intervention program at Penn State, Chatters-Smith found that certain questions or situations related to bias would cause the counselors participating in the bias-based education to pause or stumble. “A person who is not educated to know [how to respond] can get really thrown off guard,” she says. “One of the most damaging things that can happen in [a] workshop is if a bias educator is perpetuating bias,” Chatters-Smith contends. This experience helped her realize that the trainers themselves needed training to be effective at bias and discrimination education. She is currently developing workshops and a workbook that will allow counselors to practice answering questions and go through specific scenarios related to bias-based bullying to help them gain confidence and knowledge in handling these challenging situations. A counselor’s role is to interrupt the systems of bias-based bullying, Singh argues. This process starts with the intake assessment, which should clearly define what bias-based bullying is and provide examples, she continues. Counselors need to ask upfront questions about bias and harassment in counseling to let clients know that these issues exist and that they affect mental health, Chatters-Smith says. The best way to know if it is happening is to ask, she adds. Of course, when assessing clients, counselors can also be alert to signs that bias-based bullying may be occurring. 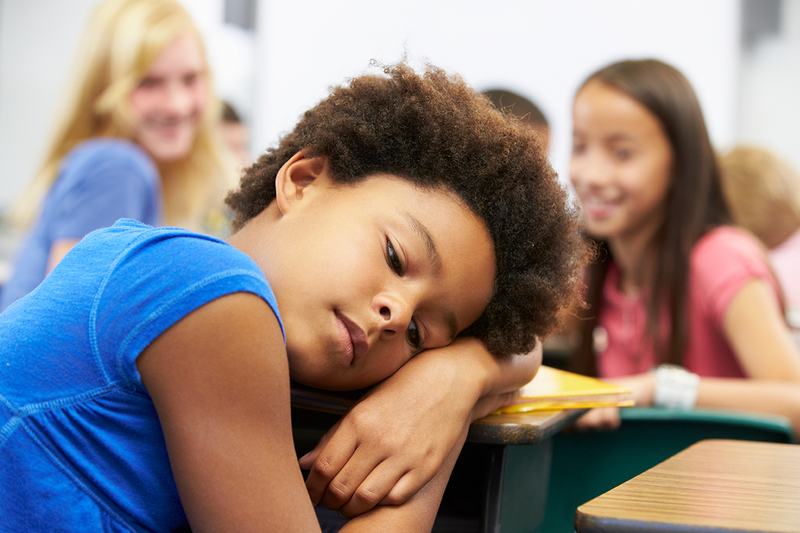 Anxiety or fear of being bullied may cause younger children to wet their beds at certain times of the year (right before school starts, for example) or to avoid public bathrooms, Chatters-Smith notes. She advises school counselors to pay close attention to the dynamics between students in the cafeteria. “A child can be sitting at a table full of kids because they don’t want to sit alone, but no one is interacting with them. No one is talking to them. They’re purposely being excluded,” she says. 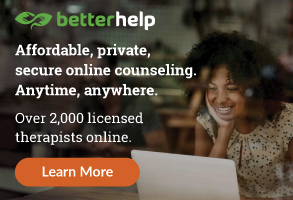 Singh and Chatters-Smith also urge counselors to watch for signs of depression or anxiety, client withdrawal, client complaints that are not tied to anything specific, chronic tardiness, or changes in client behavior such as nervousness, avoiding school or sessions, or missing certain classes. Counselors should exercise the same level of vigilance with young adult and adult clients. Chatters-Smith finds that counselors often fail to factor in the isolation, feeling of being ostracized and lack of belonging that some minority college students experience at predominantly white institutions. Counselors “know all of [these factors] impact mental health from [the] K-12 research of bullying but seem to forget about it when people graduate from high school,” she argues. In addition, counselors often “do not factor in the cultural pieces of experiencing bias-based bullying at work. It manifests itself differently,” Chatters-Smith says. For example, individuals may go on short-term or long-term disability, or bullying may result in harassment claims or absenteeism from work. In certain instances, clients may not be able to put a finger on the core issue causing them not to enjoy the workplace, or they find that for some unknown reason, they can’t please a co-worker or employer, she says. “In any organization that has built-in hierarchies, bullying [is likely] to occur,” Chatters-Smith says. For example, in the military, transgender individuals still face discrimination, and often discrimination is based on race or socioeconomic status, such as enlisted individuals versus officers who require a college education and receive more money and leadership positions, she explains. In addition, although people of color have a higher likelihood of being bullied in predominantly white settings, bias-based bullying can still occur when they are in settings with higher diversity, Chatters-Smith notes. The bias may just take another form and be based on characteristics other than race, such as sexual orientation, she explains. Within transgender communities, someone who is more binary identified and operates with certain gender stereotypes may discriminate against another transgender person for not looking enough like a woman or a man, says Singh, a past president of both the Southern Association for Counselor Education and Supervision and the Association for Lesbian, Gay, Bisexual and Transgender Issues in Counseling. Within-group bullying is particularly painful to the individuals who experience it because the group is supposed to be their source of support and belonging, she says. Singh also points out that bias-based bullying can be targeted at anyone based on how he or she is perceived. “If they’re perceived to step out of a gender or sexual orientation box, even if they don’t have that identity, they may experience [bias-based bullying].” In fact, Singh says, a substantial amount of anti-queer and anti-trans bullying is actually experienced by cisgender and straight people. “Ethnic identities are strong protective factors,” says Storlie, president-elect of the North Central Association for Counselor Education and Supervision. She encourages counselors to find ways to celebrate cultures and differences. If counselors are practicing in a school district or community that isn’t taking preventative measures against bias-based bullying and being inclusive and advocating for all students, then they need to take initiative and educate those communities, Storlie says. One approach that Storlie, an ACA member and a licensed professional counselor with supervisory designation in Ohio, suggests is to mention how diverse populations are increasing. In fact, according to the National Center for Education Statistics, the percentage of white students enrolled in public elementary and secondary schools decreased to less than 50 percent in 2014, while minority students (black, Hispanic, Asian, Pacific Islander, American Indian/Alaska Native and those of two or more races) made up at least 75 percent of the total enrollment in approximately 30 percent of these schools. Storlie works with a school district that has Ohio’s second-highest number of students who speak English as a second language. Roughly 50 percent of the student body is Latino — up from approximately 2 percent only two decades ago. When Storlie first walked into the school district, she couldn’t find any Spanish on the walls of the schools or in school materials, but since she started working with the educators and teachers, all of the school district’s documents are translated. “If you’re handing this information out to students … you’ve got to make sure it’s in the right language,” she argues. Schools are in transition now because of increased diversity, Storlie notes. “It’s happening across the country where teachers don’t look like the kids that they’re teaching anymore, and they have stereotypes that can be pervasive,” she observes. Thus, counselors need to work with educators and communities to ensure that they are being inclusive. Storlie advises counselors to facilitate events such as English classes for parents whose first language is not English to improve communication between teachers and parents, and workshops to educate parents, school personnel and the community on bias-based bullying. Counselors might also provide workshops for school personnel on multicultural competency, she says. The Human Rights Campaign Foundation’s Welcoming Schools program is one helpful resource, Chatters-Smith says. The program provides training and resources such as recommended books, lesson plans and videos to school educators to help them create inclusive, supportive school environments and aid them in preventing bias-based bullying. Storlie has found that teachers and school personnel who instill hope in their students — regardless of any identifying characteristic — have the best outcomes. These students often have higher levels of school engagement, demonstrate greater resilience and enjoy more academic success. The therapeutic relationship can play a central role in instilling hope and achieving these positive outcomes, Storlie argues. For that reason, she adds, counselors shouldn’t become so focused on theories and techniques that they forget what it means to foster a good relationship with their clients. Among individuals who have been oppressed or marginalized, there is often an “us versus them” attitude, so the challenge for counselors is finding a way to reconnect and develop the relationship, Storlie says. Trust is one key component of building a strong relationship with clients. However, Chatters-Smith has found that adults don’t always trust children’s reports of bias and discrimination. In her private practice, Chatters-Smith often works with children of color who report that no one believes them when they complain about bias-based bullying. Over time, this disbelief can result in their silence. Thus, she emphasizes, it is crucial that counselors believe children when they report having experienced bias-based bullying and discrimination. In addition, Storlie stresses the importance of taking a team approach to bias-based bullying. “You can’t do it solo. … You really have to have the team approach because that’s how change happens,” she says. This is especially true for school counselors confronted with high student-to-counselor ratios, she adds. When school counselors notice bias-based bullying in their schools, they should connect with other leaders in the school district and position themselves as a part of the leadership team, Storlie advises. Then, in this leadership position, counselors can educate school personnel on warning signs and interventions for bias-based bullying, thereby creating a team approach to intervening, she explains. School counselors should also strive to work with families to address bias-based bullying. Because family members’ work schedules may not coincide with school system hours, counselors might have to get creative to find ways to reach families, Storlie continues. “School counselors who stay in their offices are not going to be able to reach families the same way that … [counselors] doing outreach with families would,” she adds. In Storlie’s work with undocumented Latino youth, she found that the school counselors who were present, who made a point of getting out of their offices and who were visible to parents — for example, showing up at basketball games after school hours — enjoyed the most effective relationships with families and students. Their students were also more receptive to looking ahead and thinking about their future careers, she adds. “What hurts [children] typically is not specifically the bullying itself. What hurts them is the other children around who stand and watch it happen,” Chatters-Smith asserts. The inaction and silence of bystanders causes people who are bullied to feel depressed and isolated, and it feeds into dysfunctional thinking that they are not good enough and no one cares about them, she adds. In workshops, Chatters-Smith uses an active witnessing program to train people how to respond to discrimination and bias. Because bias-based bullying is often verbal, onlookers can state that they disagree with what is being said and question the validity of the biased comment, she elaborates. Bystanders can also support the person being bullied by telling them they are not alone or calling for help, she says. Bystanders can also help people who commit the offense to self-reflect by asking them to repeat what they said and letting them know that it was hurtful, Chatters-Smith continues. If a bystander doesn’t feel safe to intervene at the time of the incident, they can later call a manager (if the bullying incident happened in an establishment or organization) or notify someone about what they witnessed, she advises. Chatters-Smith has also used ABC’s What Would You Do? — a hidden-camera TV program that acts out scenes of conflict to see if bystanders intervene — in her workshops. She plays the scenarios from the show but not the bystanders’ reactions. Instead, she has workshop participants use the skills they have learned in the workshop to see how they would respond. Storlie and Singh both tout training student leaders as an effective approach to preventing bias-based bullying. Often, students — not counselors — are the ones who hear about or witness these instances of bullying. So, counselors can work with these student leader groups to teach them how to intervene, Storlie says. Another way to create a team approach to bias-based bullying intervention is through the use of popular opinion leaders, Singh says. With this approach, school counselors and teachers nominate student leaders who represent different groups in the school (à la The Breakfast Club). With the counselor’s guidance, these students discuss bias-based bullying, what they’ve noticed and how they might be able to change it. Then, after learning bias-based bullying interventions, the popular opinion leaders try them out and report on which ones worked and which ones didn’t, Singh explains. One possible solution is to start bias education at a young age so that over the life span, people are more aware of bias-based bullying and discrimination, Singh says. Counselors can challenge the internalized stereotypes that people learn in society about themselves and others and counter those biased messages with real-life experiences and compassion, she adds. Education and awareness are key because bias-based bullying is an ongoing issue. “[Bias] is not going to go away. … People are going to find a way to treat each other differently. I think that what will change is more and more people not accepting it,” Chatters-Smith says. This past spring, social media revealed another case of discrimination when two black men who were waiting for a friend were arrested at a Starbucks in Philadelphia on suspicion of trespassing. The incident might have received little notice except that a white woman posted a video of the arrest on Twitter and challenged the injustice, which prompted protests. Starbucks responded by apologizing and announcing that it would close thousands of stores for an afternoon to conduct racial bias training in May. When Simone Lambert was 4, she walked up to a circus elephant and tried to hug it. Lambert doesn’t wholly remember this episode, but her family tells her that she approached the majestic pachyderm fearlessly and enthusiastically. She never got close enough to complete the embrace, but the encounter marked the beginning of her lifelong love of elephants. This encounter was also, perhaps, an early sign of Lambert’s willingness to wrap her arms around large and daunting challenges such as leading the charge for the continuing growth of the counseling profession as the 67th president of the American Counseling Association. Lambert is drawn to elephants because they are compassionate, family oriented, protective, gentle yet strong, and natural leaders. Perhaps it is a case of like being drawn to like. Colleagues, students and mentors use many of the same words when describing Lambert. Lambert’s commitment to others and desire to effect positive societal change began at an early age. She started volunteering with the United Way in her preteen years. She served on a teen court, in which a panel of teenagers deliberated and decided the sentences for minor and first-time offenses such as truancy and possession of marijuana. The sentences sometimes included counseling and other restorative justice strategies. She also volunteered to help out in the school counseling office and participated on student council. Lambert points to a defining event from the seventh grade that largely sparked her desire to help others. It began with a tragedy — the accidental shooting and death of a classmate. The boy had been at the home of another classmate who wanted to show the boy his father’s gun. When the friend took the weapon out of its case, it went off, killing the other boy. Lambert and her classmates felt the loss keenly. Their friend had been someone who wanted to help others. He had planned to become a priest and dedicate himself to social justice work. Lambert and a few other classmates decided that although they had lost their friend, they could at least preserve a bit of his spirit by taking action and trying to do some of the good work the boy would never get the chance to do. Lambert says that growing up on the Gulf Coast and in New Orleans also shaped her, both as a person and as a counselor. “People in New Orleans are very connected, if not through family, then through experience and culture,” she says. The people of New Orleans are also resilient and welcoming of outsiders who want to make their home in the city, says Lambert, a licensed professional counselor and national certified counselor. Living in that “melting pot” in which she was exposed to many different cultures gave Lambert an early education in multiculturalism. Lambert acknowledges that New Orleans’ darker elements influenced the path of her career as well. Seeing the negative side of the city’s party culture helped spur her interest in addictions counseling. Indeed, Lambert possesses what one of her former professors, Harriet Glosoff, describes as a passion for working with addiction and substance abuse. “She really did find a niche,” says Glosoff, an ACA member and past president of the Association for Counselor Education and Supervision. She notes that Lambert considers social justice aspects such as treatment accessibility an essential part of addressing substance abuse issues. Lambert served as the president of the International Association of Addictions and Offender Counselors in 2007-2008 and as its representative to the ACA Governing Council from 2014 to 2017. As an undergraduate, Lambert originally intended to become a math teacher. “Then I took calculus and said, ‘No way,’” she recalls with a laugh. Early education didn’t suit her either, but when Lambert looked back at how much she enjoyed her time working in her high school counseling office, she decided to major in psychology at the University of New Orleans. Lambert next went to graduate school for a master’s in counseling psychology at the University of Southern Mississippi (USM), where her career path would take a turn. Glosoff, who was then an assistant professor in the college of education and psychology at USM, says Lambert immediately stood out among her peers. Simone Lambert with her daughters, Samantha and Sabrina. In Lambert, Glosoff saw someone who was passionate about making a difference in the world, yet humble in sharing her thoughts. 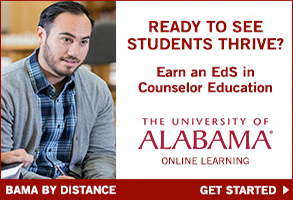 Glosoff thought Lambert possessed the potential to lead future counselors, so she encouraged her to work toward a doctorate in counselor education. Once Lambert began to consider counseling, she increasingly saw it as a good fit for her. In particular, she liked counseling’s wellness model and the profession’s emphasis on people overcoming challenges in their lives as opposed to simply focusing on their problems. So, she decided to pursue her doctorate in counselor education and supervision at the University of North Carolina at Greensboro (UNCG). Glosoff knew most of the faculty in the UNCG counseling program and continued to see Lambert from time to time. As Glosoff had expected, Lambert stood out as an exceptional student, researcher and leader. “I know they encouraged her to seek out leadership positions and to present at conferences,” Glosoff says. UNCG faculty also encouraged Lambert to conduct an abundance of research, which Glosoff, now a counseling professor at Montclair State University in New Jersey, considers another form of leadership. Indeed, says Lambert, leadership, giving back and a commitment to continually growing as a counselor were stressed as responsibilities at UNCG. Opportunities for growth come in many guises, including in the form of sudden — and sometimes painful — challenges. Lambert faced a significant challenge in the third year of her program at UNCG when her dissertation chair, Nicholas A. Vacc, a counselor and counselor educator who was instrumental in the formation of the Council for Accreditation of Counseling and Related Educational Programs (CACREP), broke the news that he was too ill to see her through the rest of the process. 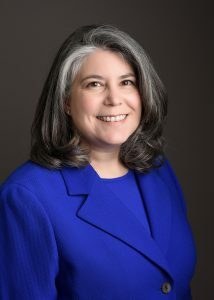 Knowing Lambert would need a new dissertation chair, Vacc suggested that she approach Craig Cashwell, an ACA member who had received his doctorate at UNCG, spent time as a counselor educator at Mississippi State University and recently returned to his alma mater as an associate professor of counseling. The situation was difficult for them both. Not only was Lambert losing a mentor, but she was also faced with selecting a new dissertation chair who could quickly get up to speed and guide her through the rest of the dissertation process. Cashwell was also processing the loss; after all, Vacc had served as his dissertation chair. Cashwell says Lambert handled the difficult transition and their shared sense of grief with grace. Cashwell, a past chair of CACREP, was quickly impressed by Lambert. Predictably, she developed into both a great writer and a great scholar, he says. However, those accomplishments aren’t what come to mind first when Cashwell thinks of Lambert; instead, it’s what a good person she is. Cashwell has known and worked with Lambert for years now, and he says he is still struck by her humility. “A lot of people, when they get into leadership positions … lose the humble quality that is core to being a counselor,” Cashwell says. “Simone never lost that humility.” He adds that Lambert is a deep listener with a gift for bringing a group together, letting everyone’s voice be heard and building consensus. When Cashwell considers all that Lambert has accomplished so far, he says he is not surprised; he knew she would do great things in her career. He also feels a kind of paternal sense of pride — not for anything he has contributed but for Lambert’s achievements. “I feel immensely proud of her for what she’s done and what she’s going to do,” he says. Najah Barton became acquainted with Lambert as a doctoral student in Lambert’s counseling ethics class at Argosy University’s campus in Northern Virginia. At the beginning of the course, Barton almost missed one of the classes — a no-no for doctoral students — because her rental car broke down on her way back from attending a friend’s wedding. Getting back on the road took eight and a half hours. As time dragged on, Barton saw her academic career flashing before her eyes. When she realized that she wouldn’t make it back in time for the start of class, Barton started frantically texting and calling Lambert with apologies and explanations. Lambert expressed concern for Barton’s situation, but all Barton could think about was making it to at least part of the class. She arrived for the last hour, which for many professors would not have been good enough. Lambert, however, allowed Barton to complete a project to make up for the lost time. Barton, now an associate professor at Northern Virginia Community College, went on to take several classes with Lambert and also asked Lambert to be her dissertation chair. In addition, Lambert, who was chair of the counseling department at Argosy University, Northern Virginia, allowed Barton to switch to the university’s CACREP-accredited doctoral program even though she was almost finished with her non-CACREP track. Barton had to take additional classes, which added an extra year to her program, but she says it was worth it. Barton credits that switch — and Lambert’s support — with changing the course of her career. Barton initially thought she would spend her career in the federal government — she currently works at the Department of Justice, where she studies and tracks reported child maltreatment cases associated with the military population — but her CACREP-accredited degree has given her the confidence to move into private practice as a counselor. Stephanie Dailey, who was on the Argosy faculty with Lambert, says that Lambert stands out as an educator because of her incredible ability to mentor and her passion for and knowledge of counseling. When they first met, Dailey had just become the president of the Maryland Counseling Association. Knowing that Lambert had leadership experience, Dailey, who is currently a professor of psychology and counseling at Hood College in Maryland, consulted her about some of the challenges she faced. Over time and multiple trips to Starbucks for trenta (yes, trenta — 31 ounces) iced green teas, they became friends. Dailey, past president of the Association for Spiritual, Ethical and Religious Values in Counseling, is also familiar with Lambert’s leadership qualities and priorities. She says that although Lambert will think strategically about what ACA needs as an organization, she also genuinely cares about the needs of the average ACA member and how the association can meet those needs. abuse problems will inform her presidential priorities. “[Having worked] with children and adolescents, I know that early intervention can really help relieve the pain of mental illness,” Lambert says. As ACA president, Lambert is establishing a task force devoted to prevention strategies and hopes to involve ACA’s divisions in looking at prevention across the life span. “What does prevention look like on a college campus? What does it look like with older adults?” she asks. In addition, Lambert says that one of her presidential initiatives will be promoting mental health and averting addiction through the provision of prevention services. 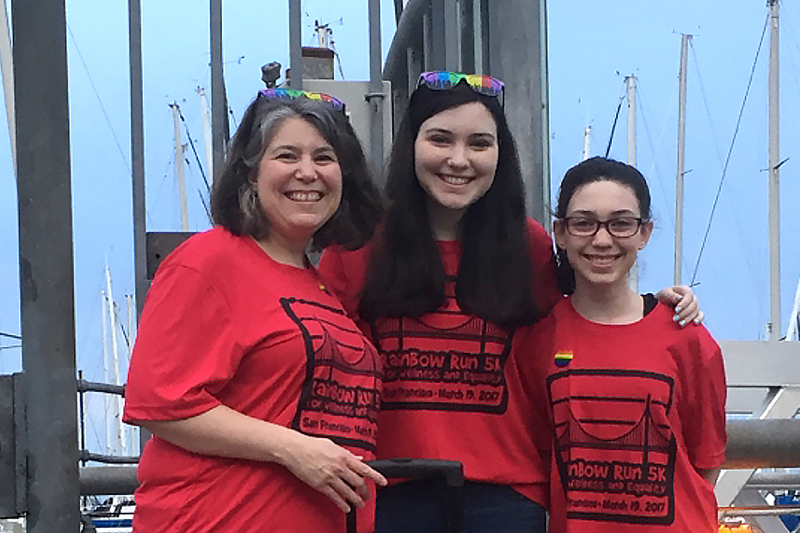 As befits the unofficial presidential mascot, Sadie is going to be “pimped out,” Lambert says, for the next Rainbow Walk, an annual running and walking event sponsored by the Association for Lesbian, Gay, Bisexual and Transgender Issues in Counseling and held at the ACA Conference & Expo. Besides bedecking her dog with rainbow gear from Party City, Lambert takes time out to enjoy several hobbies, including gardening. “I find it a grounding way to meditate,” she says. Lambert also enjoys going to art museums with her daughter Samantha (younger daughter Sabrina is more of a National Air and Space Museum girl) and listening to all kinds of music. Lambert was a music minor in college and particularly enjoys jazz, something that she traces back to her time in New Orleans. She still loves going to the city’s annual jazz festival and eating out. As she points out, music and good food are integral parts of New Orleans’ culture. Lambert is thrilled that the ACA 2019 Conference & Expo will be held in the Big Easy, coinciding with her year as ACA president. “New Orleans just gets in your spirit and becomes a part of it,” she says. Lambert hopes that ACA Conference attendees will take advantage of the opportunity to get to know the city’s people, culture and food even as they network with their counseling colleagues and participate in the hundreds of available education sessions. Who knows? They might even find Lambert at Café Du Monde with a plate of beignets or enjoying some music one night at Tipitina’s. One of the most uplifting and powerful things counselors can do for their clients is to become a “nonanxious presence.” The term, originally coined by Jewish Rabbi and family therapist Edwin Friedman, is used to describe an individual who provides a calm, cool, focused and collected environment that empowers others to be relaxed. This can be especially helpful for clients who have varying levels of anxiety, are in crisis or share information that could be traumatizing. By being a nonanxious presence, the counselor can model emotional regulation and invite clients to see that there is more than the anxiety or other feelings they may be experiencing. As a counselor-in-training and certified empowerment coach, here are the five pragmatic tools that I use in my own practice. 1) Don’t buy in to the story; it only makes your client a victim. Everyone has a story about life. They use this story to determine who they are, where they are from, who they hope to become and all the difficulties they have overcome. As counselors, we must acknowledge the stories our clients share and the significance they assign to these stories. However, we must further consider how clients may use these stories to limit themselves and give up control in their life. If, as counselors, we allow ourselves to be swept into the story, we do a disservice to our clients and allow them to serve in the role of victim. How does that apply to being a nonanxious presence? By not buying into the story and the role your clients have assigned themselves, you invite them to see the story from a different perspective. When you resist the urge to emotionally join their story, you are able to see all the ways in which their story is playing out in their daily lives. You, as counselor, are then free to identify patterns of behavior and gain insight into clients’ lives, thus empowering them to create something greater than they currently have. 2) Be you and trust your training. As a counselor-in-training myself, it seems the hardest thing to remember is to be yourself and to trust your training. Many times, we can be swept up in what we must “do” as counselors and fail to connect with the client. If we get caught up in the information we must gather, the treatment goals we are measuring and the skills or techniques we plan to implement, we may miss the opportunity to make a true connection, which so many people are missing in their lives. The most influential measure of success in counseling is the client-counselor relationship. Have you ever noticed that some of your best sessions take place when you are willing to simply be present with your clients and let go of using a specific technique? How different might your practice be if you were willing to just be you, had faith that you possess the training you need and allowed yourself to meet the client in the here and now? Truly being present with yourself also invites your clients to be with themselves and to lower their barriers. In the process, you become the nonanxious presence that allows for greater change in clients’ lives. 3) Empower your clients to know that nothing is personal. Take a moment and consider a time when you experienced difficulty in a relationship, either romantically or otherwise. How differently might you have reacted to the event if you had known it wasn’t personal? This is another tool I use as a nonanxious presence with my clients. I empower them to know that nothing they have experienced or believe was done to them is personal. This approach can be particularly helpful when dealing with abuse, trauma or relationship problems that arise in session. Clients can sometimes use their abuse or trauma as a coping skill to ensure that no one is able to get that close to them again. It is a means for them to know they have control and will not allow more abuse in the future. Reframing your clients’ perspective to “it wasn’t personal” invites them to see where they were a convenient target for the other person to release what they were experiencing. When individuals choose to abuse someone, they seldom consider who the other person is; quite frankly, they are just looking to relieve whatever level of stress, anxiety or other feeling they are experiencing. When using this tool with your clients, it is important to have a strong rapport and relationship with them because challenging someone’s view on abuse can be difficult for the person to accept. If you are able to empower your clients to see that nothing is personal, however, it opens the door for them to separate themselves from the abuse or trauma and to begin the healing process. 4) Practice having an interesting point of view about everything. The greatest tool I have learned from my training with Access Consciousness is to practice having an interesting point of view about everything. An interesting point of view is the place where you can hear, see or become aware of anything without judgment. As counselors, we receive training in cultural competency and learn the importance of maintaining an environment of nonjudgment with our clients. This is exactly what invites our clients to trust, share and be present with us in session. How many times have you been judged? How did that make you feel or react? Now imagine if you were sharing the most intimate parts of your life and became aware that someone had a point of view about you? I am not saying that counselors should not be observant and make notice of things taking place in session, but we must be willing to put our points of view aside and be with our clients. Another way to use this tool is to teach our clients that they can also have an interesting point of view in any area of their own life. This can help them detach from the high level of emotions that prevent them from going beyond the problem. What might this approach add to your daily life inside and outside of your counseling practice? 5) Ask questions, never give answers. As counselors, we can fall into the habit of dispensing advice. As someone who studied for a few years as a life coach, one of the greatest tools I used was to always ask questions and never to give answers. As a nonanxious presence, you can empower your clients by asking questions that allow them to see what is true in their lives. Depending on your clients’ level of cognition, the use of this tool can lead to greater levels of healing and insight into their choices in life. It also helps to eliminate the possibility of setting up the counselor as the “power” in the relationship and prevents clients from developing a high level of dependency. As counselors, we must allow our clients to see their difficulties from a different light and empower them to trust in themselves. Questions always empower clients, whereas providing “answers” disempowers clients. Acknowledge that your clients are the experts in their own lives; we, as counselors, are simply a resource they can use to gain new information. Many of us who choose this profession believe we are called to serve others or have the ability to make a difference in the world. If you truly embrace your role as a nonanxious presence in the lives of your clients and the power this can have to create change, I firmly believe that you will have a rewarding career. What if you were willing to not simply diagnose and treat your clients but to empower them to live their best lives? What if you were willing to acknowledge the gift that you are and the ability you have to invite something greater to exist on the planet? 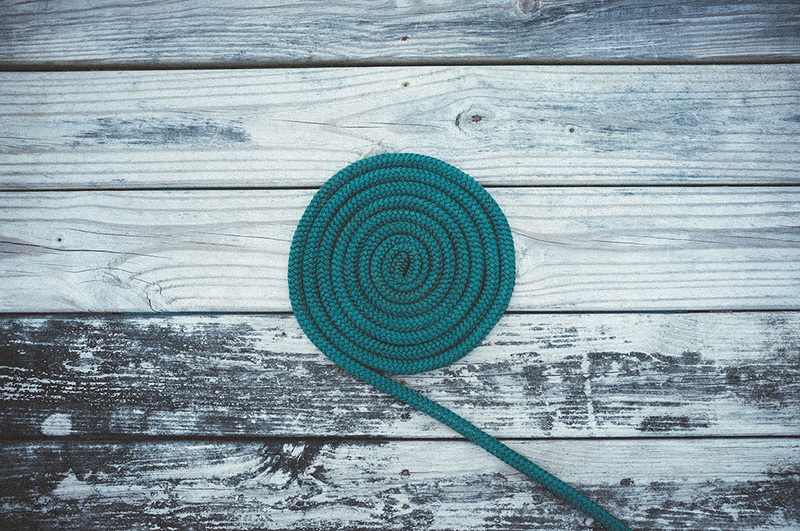 We often hear that “human beings are messy.” What if you being you, as a nonanxious presence, is exactly what is required to begin untangling the mess? John Wheeler is a graduate student at the University of Dayton and a counselor-in-training at Riverscape Counseling in Dayton, Ohio. His focus in therapy is helping to address people’s unique needs while also assisting in facilitating a healthy, self-sustaining outlook on life. He encourages clients to take a proactive approach in fostering a lifestyle that promotes mental, emotional and physical well-being. Contact him at wheelerj7@udayton.edu.